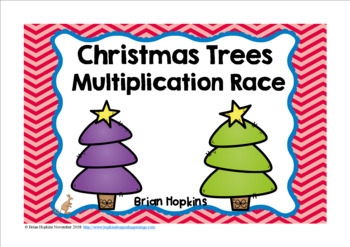 Christmas Trees Multiplication Facts Race is a Christmas board game for Winter where your students solve a multiplication fact up to 12 times 12 and then roll one die (dice) and move that many spaces on the game board. There are 24 fun cards that will tell your students to go back to start, roll again, trade spaces, lose a turn, and go ahead or back 2 or 3 spaces. 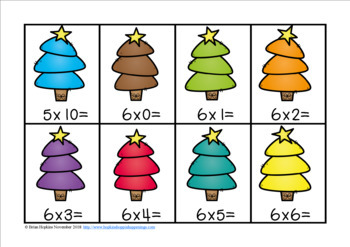 This is perfect for a math center, rotation, or station. 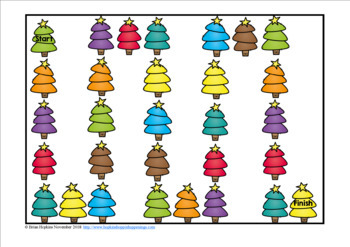 Included are directions and the fun game board! It is only in color. If you enjoy the it please consider leaving positive feedback so you will receive credit for future purchases. If you find an error please e-mail me at tigermagic@bellsouth.net prior to feedback and I will gladly fix it for free and you can redownload it.